WILDWOOD CREST – The long-anticipated start of the summer season at the Jersey Shore will once again be celebrated with the first of 24 free outdoor concerts hosted by the Borough of Wildwood Crest. The Chatterberband will perform Sunday, May 27, at 7:30 pm in the Borough of Wildwood Crest’s annual Summer Kickoff Concert at Centennial Park, located at Fern Road and Ocean Avenue. The Chatterband is one of the longest-running and most popular bands in the Delaware Valley. 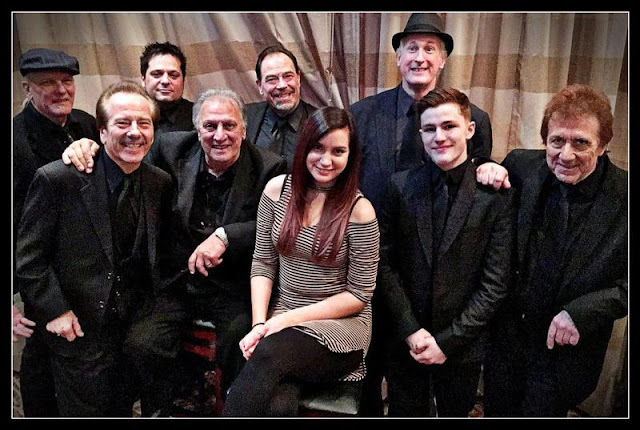 A nine-piece band with a full horn section and dynamic, versatile lead singers, The Chatterband regularly performs many of today’s pop, rock and dance hits, along with many of the most iconic pop, rock and dance tunes of all time. The Chatterband annually plays well over 100 shows per year and has been a regular performer in Wildwood Crest for more than a decade. The Summer Kickoff Concert is a FREE all-ages show. Attendees should bring a blanket or a chair. Centennial Park is located at Fern Road and Ocean Avenue. The weekly Wildwood Crest Summer Music Series will begin in late June. Centennial Park will feature live music shows each Saturday from June 30 through Sept. 22 and each Wednesday from June 27 through Aug. 29. The full schedule is available online at wildwoodcrest.org. For more information call the Wildwood Crest Recreation/Tourism Department at 609-523-0202.